Give you a show on Xiamen Dragon Boat Festival, 29th and 30th May , 2010, my own shot on 29th May. Now no one missed that , see it live for yourself here . It is rather a cultural and human touch of Xiamen than a simple Boat race. Millennium Haikou Hotel will be the hottest hotel in China even in the world as long as the project sets off, it will also be built on an artificial island in Haikou which will take up 33.5 hectares, total investment 2.8 billion yuan ($408 million), 103 floors with probably 300 meters high , but this hight figure is not confirmed. Dragon Boat Race is very special in Xiamen as part of Duanwu Festival , Chinese usually eat Zongzi at the Duanwu Festival , but Jimei intrenational Dragon Boat Race offers Xiamen people extra fun. It starts from 1987 , some European Teams joined in the Race , the pictures collecte d online give you more to capture. This Friday , 28th May , Li Xincao will conduct a bunch of great pieces of sumphony in ﻿Music Island Philharmonic Hall, with Xiamen Philharmonic Ochestra. It covers from French to German , from Romance to Classic , no reason to skip away. 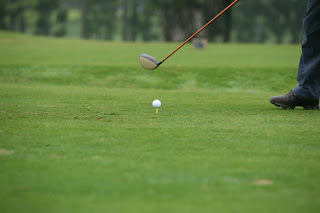 May 15th , 2010 , All the Xiamen Golf Fans gathered at Kaikou Golf Course to make a wonderful tournament ; a special event to raise up a charity for Medical aid to the poor children in Xiamen ; a special event to play in the rain , to dance in the rain , what a fun! ; a special event which is the oldest golf tournament in Xiamen Hotels history. I just forgot to re-direct my feedburner feed address in Magic Haijng , Xiamen Hotels blogger , so this will work? To get started, go to the Socialize service on FeedBurner's Publicize tab and add the Twitter account to which you would like to post items from your feed. You can take the default settings and click [Save] to start socializing immediately, or use the options we offer to customize exactly which feed items are sent to Twitter and how exactly you would like them to look. The next time you post a new item to your feed it will be sent to Twitter (as always, make sure to ping FeedBurner whenever you update your feed so this process happens as near real-time as possible). For full details on all Socialize options, see our FeedBurner Help Center topic. Today is the day for Wenchuan Earthquake ,two years ago . The appetite for development financing is alive and well in Asia Pacific, and it is business as usual for regional lenders. The opening Shanghai Expo 2010 highlighted the Labour Day , the hottest city in the world , no exagerating . Meanwhile , Xiamen Shanghai Bullet train shortened the traveling time to seven and half hours , Xiamen became the No 2 in increasing of tour market in China during the Labour Day .